I love myself a bit of Aldi. 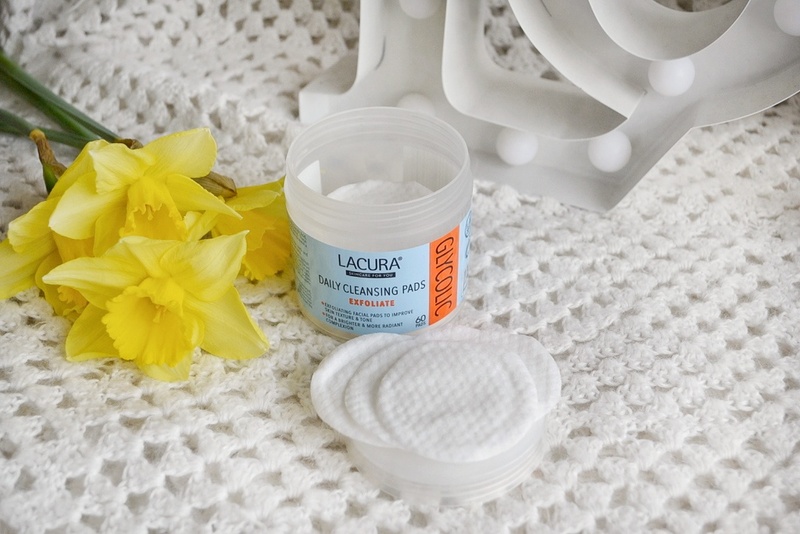 We are forever stocking up on their own brand foods (I would thoroughly recommend their version of Terry's chocolate orange bites), but in the past couple of years they have vastly developed their Lacura beauty range. I remember as a teenager trying out their moisturisers and thinking they were OK for a couple of quid, but they've got such an extensive range now and just seem to be bringing out more and more products that are much more focused on being dupes. I've reviewed some of their products in the past (such as these gel-look nail varnishes which are actually better than their Rimmel counterpart) and have been generally quite impressed- they now do their own mascaras and even an own-brand YSL Touch Eclat! 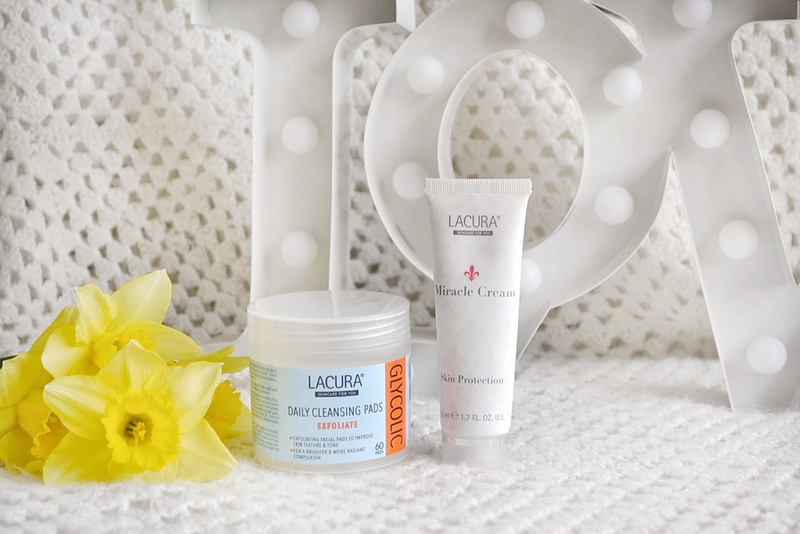 The latest of their dupe drops are the Lacura Miracle Cream and Lacura Glycolic Cleansing Pads- both became available in store from 8th March. Although technically they are limited stock, I found that the beauty products in my local Brighton store tend to stay around for a little while. I've been testing out these products for the past couple of weeks and for the price-tag, they aren't too bad! 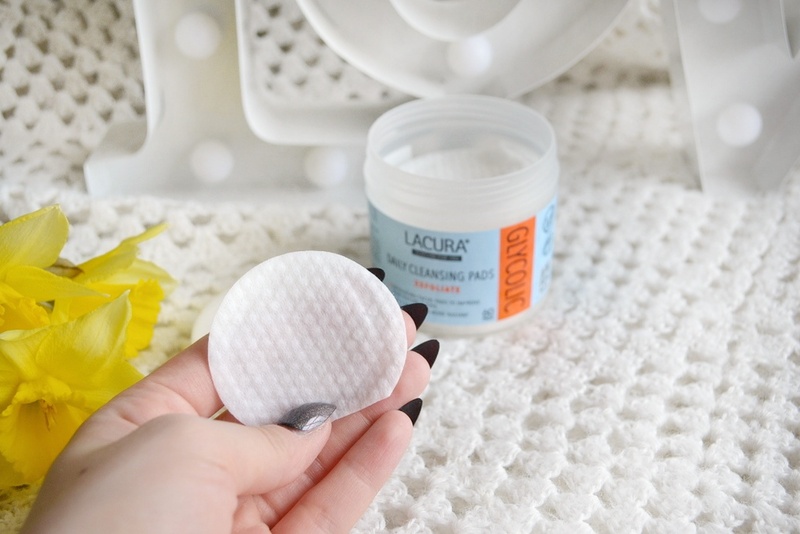 The Glycolic Cleansing Pads (priced at just £2.49) are intended to be a dupe for the Nip & Fab version, which cost £12.95. Both products contain 60 pads which should be used daily for best results. I have been using these in the evening after cleansing and found initially that they do pretty good job at removing any cleanser residue and grime that may had been missed and left on skin. There is no majorly overwhelming scent and it's relatively pleasant overall. Whilst I haven't tried the Nip & Fab version so cannot directly compare the two, I have definitely noticed a difference in the texture of my skin. It seems a lot smoother and even, but I haven't noticed a huge change in radiance. 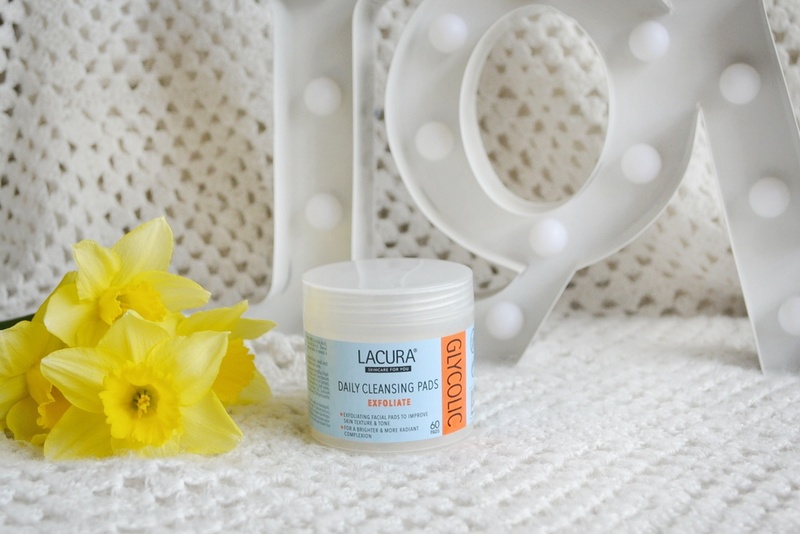 Glycolic acid is usually great for tone, texture and brightness of skin, and whilst the Aldi 'dupes' have worked for part of this list, I think I will probably stick with my Pixi Glow Tonic which is ace for all of them! For such a low price though, these aren't terrible my any means! The other new launch, the Miracle Cream, is meant to be a dupe for the Elizabeth Arden 8 Hour Miracle Cream. The Elizabeth Arden product is a cult-favourite, so Aldi have a lot to live up to with this one! Again, I've only tried the Elizabeth Arden cream a couple of times, but the first difference I noticed was that the Aldi version is noticeably thinner in texture. Everything from the packaging to the colour of the balm seems the same, but I think the Aldi version is better suited to day-to-day applications with the Elizabeth Arden cream being much more hard-working and more of a treatment. 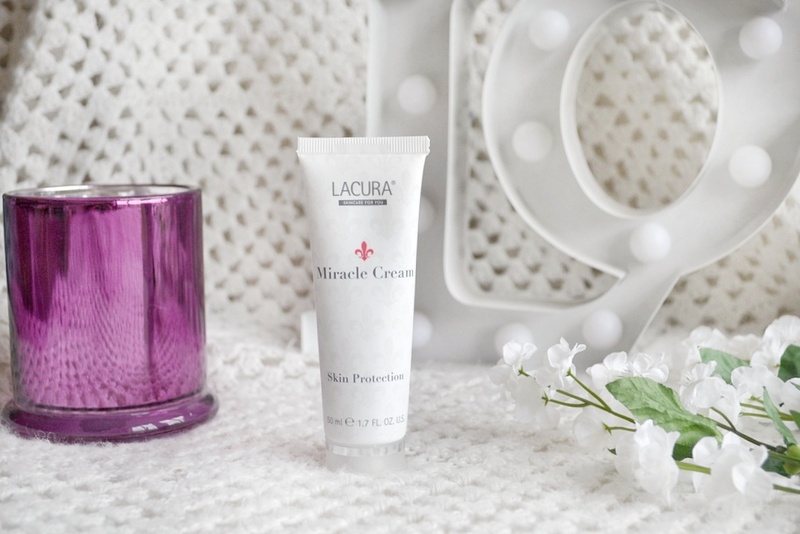 The Miracle Cream comes in a medium-sized tube and is a bit of an all-rounder type product, making it fab for slinging in your handbag. It reminds me a lot of the Dr PawPaw balm that I love for healing my cuticles that had been damaged by my dermatillomania (skin-picking). It works well on dry patches and as a quick lip balm (it adds a lovely sheen to lips) and I have been enjoying using it as a cuticle oil. This product has so many uses (including easing irritated skin and repairing cracked heels! ), and as a result I think this has become one of my favourite Aldi beauty products. I can see it being a really handy product to carry around on holiday as it really is an all-in-one. Whilst it may not have the intensity that the Elizabeth Arden cream has, for £3.99 (instead of £18!) this is a bit of a bargain. Which of Aldi's beauty range have you tried out? Are there any products you would recommend? This post features press samples, however all opinions are my own.